Back in 2010, Alec Farmer had an idea. 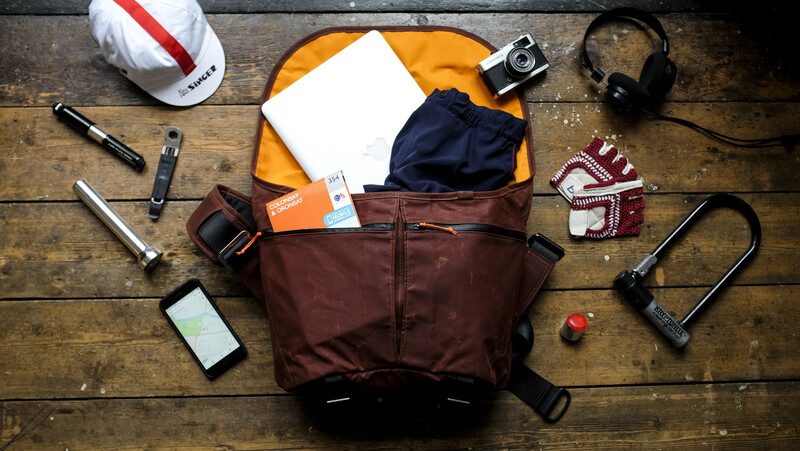 Unable to find a type of bag he’d long been looking for – a UK manufactured backpack, made from sustainable materials, fit for a Scottish winter – he decided it was time to do something about it. Thus, Trakke was born. The motto? Handmade in Scotland, and built to last. 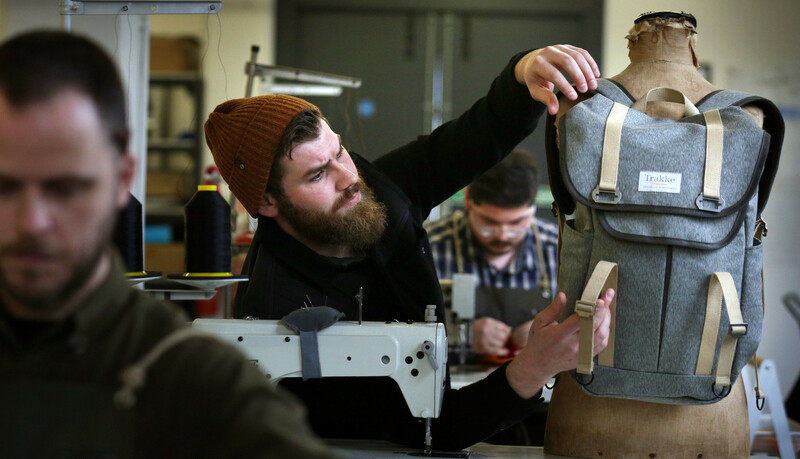 Initially comprised of only a team of two, a sewing machine, and a small production space, Trakke has since expanded to occupy a significant workshop space in central Glasgow, and proudly ships its waxed canvas backpacks and bags all over the globe. 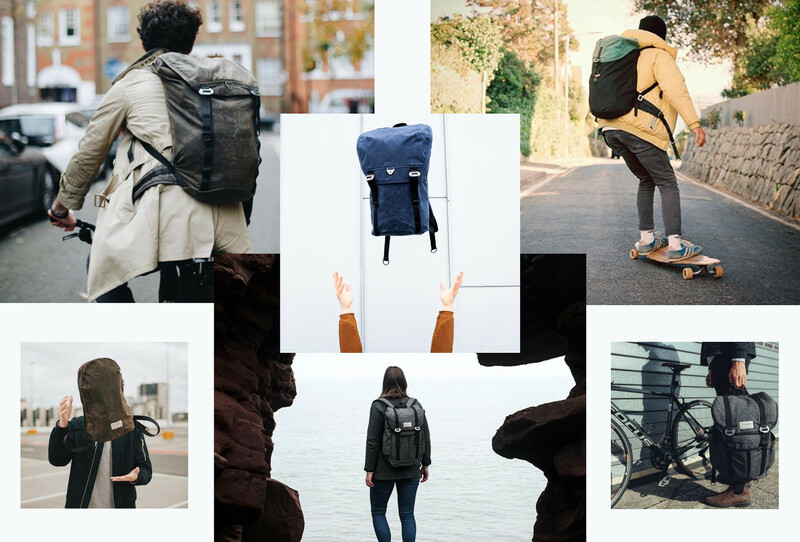 Yet, despite its humble beginnings, certain things about the company haven’t changed at all: the materials are still locally sourced, the bags are still handmade in Scotland, and Trakke continues to have an unfaltering commitment to its customers and its staff. 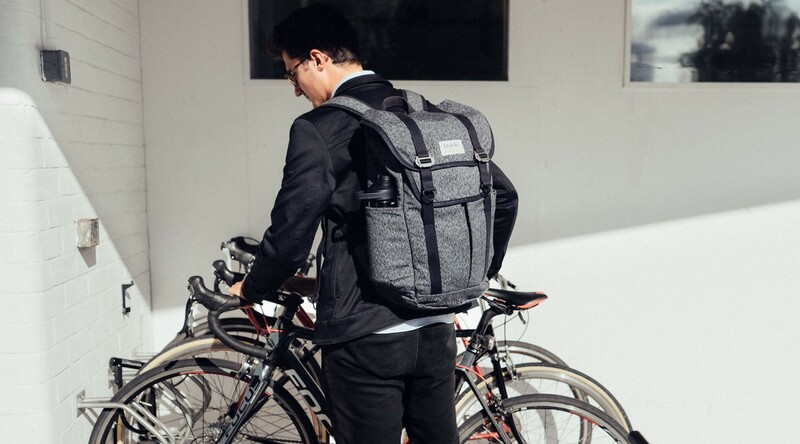 Well known for their multi-award winning bike messenger bag, the “Wee Lug” - granted the accolade of “best messenger bag in the world” by the Independent newspaper - we caught up with Alec to ask about bags, business, and – of course – bikes. We all love a good origin story, and yours involves bikes. Tell us about how you got started. Well, Trakke started back in 2010 when I was still a student in Glasgow. I was really into making things with my hands, but was heavily influenced by ideas of sustainability and recycling. So, to make the first bags I would cycle around the city and liberate discarded fabrics from skips, and local businesses. Then I’d go back to my flat and design, prototype and test my designs. It was a very hands-on way of learning. Eventually there were so many bags I needed a place to store them, which led me to think about offering them for sale. Our first shop was a stall at the Barras in Glasgow - I was still a student, so budget was limited, but that was where the first Trakke bags were sold. I’m really proud of what we made in those early years - some of the bags are still out there and going strong! 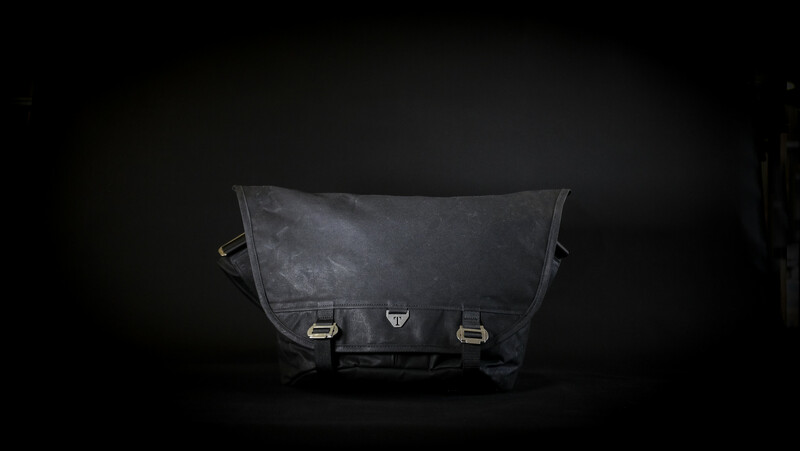 Trakke bags are made from a weatherproof waxed canvas. Can you tell us a little bit more about the material? As we grew, we knew we needed a dependable supply of materials – a simple requirement for stable production. We were looking for something special, though – a weatherproof UK manufactured fabric, in keeping with Trakke’s ethos as company. We’d experimented with fabrics like Cordura, but synthetics lack a bit of soul. Then we realised the perfect solution was right under our noses. Waxed canvas was invented by Scottish fisherman in the 18th century, and it’s still manufactured in Dundee today. It’s weatherproof, plastic-free, and strong enough to last a lifetime. It’s also part of the fabric of Scottish industry going back hundreds of years. It was perfect. 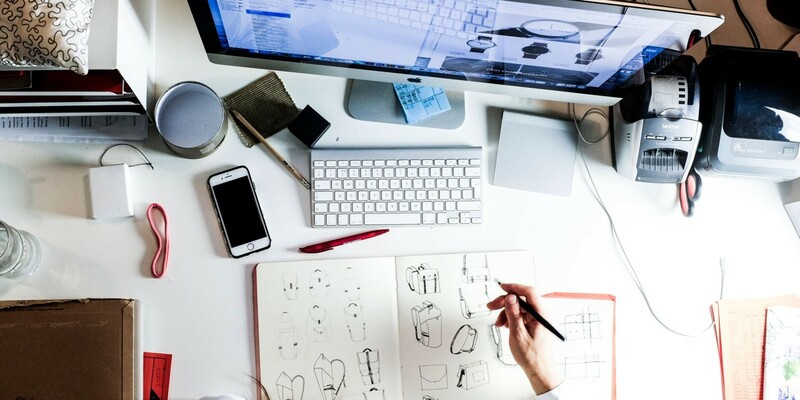 What are the challenges of sourcing and manufacturing in the UK? And what advantages does it have? The only downsides to sourcing and manufacturing in the UK are relative. Foreign imports have drastically changed what people think things should cost – a modern phenomenon that’s gone hand in hand with an increase in throwaway culture. 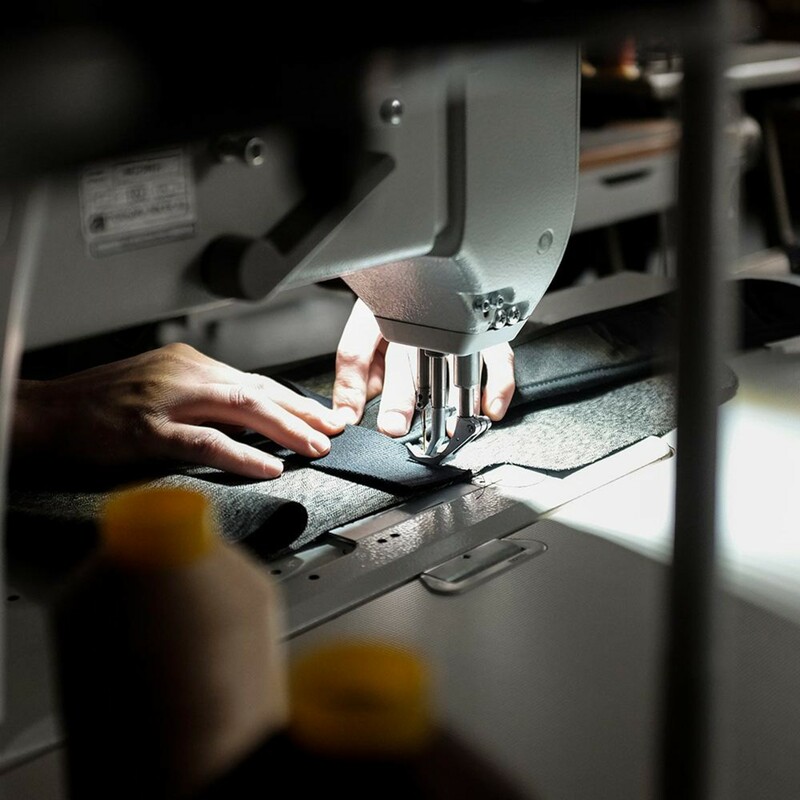 We’re producing a product in small batches, right here in the UK, using UK sourced materials, so our overheads are scarcely comparable to companies that use foreign manufacturing. But, our customers are amazing, and they appreciate that our values, and our lifetime guarantee, are worked into the price of the product. They know that every one of our staff receives above a living wage, and that they’re supporting not just us, but every one of the other UK companies in our supply chain. As for the advantage; that’s easy - we buy some of the highest quality materials available in the UK today. Some of our suppliers have been in business for over 100 years - you don’t survive that long by having mediocre products. Also we benefit from fewer material miles - we make in the UK, and source from the UK, so we're not importing our fabrics. It makes us more sustainable, and ensures money goes back into 'local' communities. And by making products in our workshop in Glasgow, we can nurture and protect the artisan skills that might otherwise disappear. It means that our company is about more than just the bags - it has purpose and meaning beyond what we sell. ↑ Alec does quality control on a finished backpack. How do you think a brand like yours can contribute to your local area? Glasgow - our local area - used to be known as “workshop to the world” for the sheer amount of industry and skill originating here. That layout has changed a bit, but it’s still a huge creative hub, largely because of the businesses that spend time and energy reinvesting in the city. For us, manufacturing in Glasgow means that we get to draw from that legacy, but it also means we get to put something back into the city. 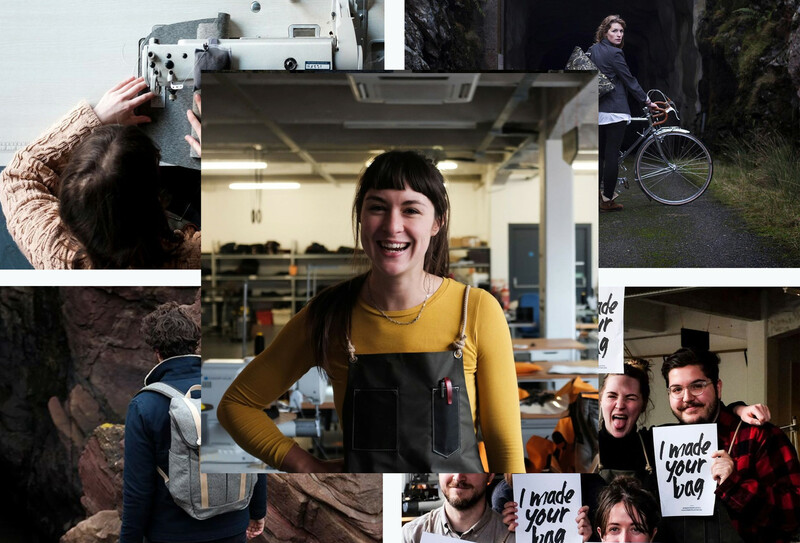 I’m really proud that the average age of the team is under 30 - we’re a group of people who love Glasgow, and because of local manufacturing we get to live and work here doing what we love. That supports a vibrant and creative community right on our doorstep. We couldn’t talk to you without getting onto the subject of cycling! What do you love most about getting on your bike? It depends which bike you’re talking about! We’ve got a very special tall bike in the workshop that makes its way out on special occasions, but otherwise you simply can’t beat that feeling of freedom that comes from getting on two wheels. Also, with pollution becoming an ever-increasing concern, cycling isn’t just an efficient way of getting around anymore – it’s one of the best solutions we have. A solution to reducing emissions, reducing dependency on oil (and thus: plastic) , as well as to increasing physical and mental health. Bikes have long been loved for their role in recreation, or sport, but there needs to be a bigger shift, where more people understand that they’re also functional transport. 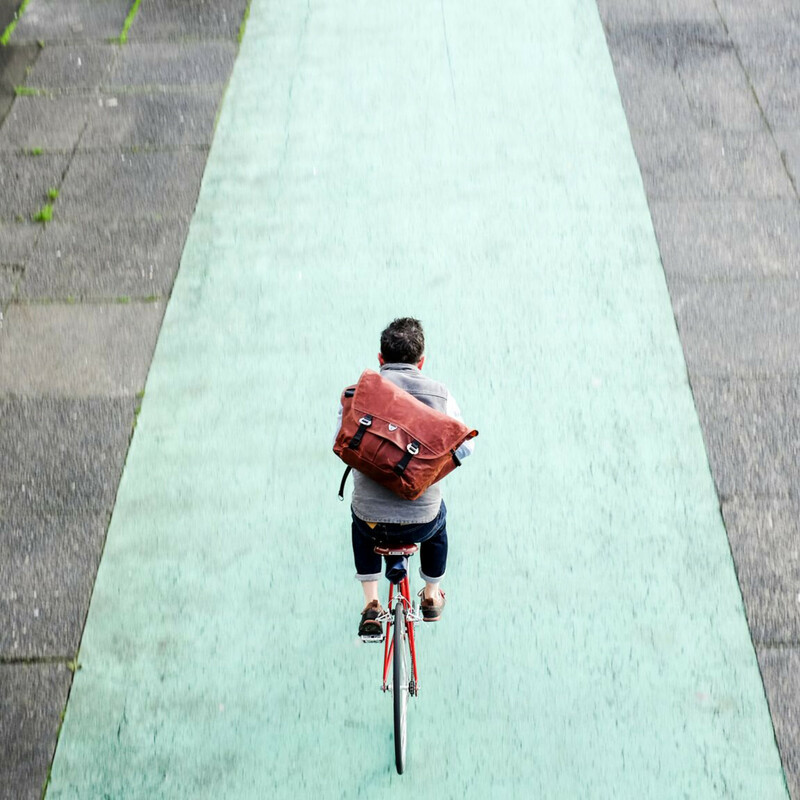 Getting on a bike every morning feels like being part of a broad solution, and that’s an amazing feeling. What are your recommendations for cycling in the city? Glasgow famously has some of the worst cycle paths in the world, so you have to be creative! Couple that with the terrible weather, and it can take a bit of resolve to get out - that said, I wouldn’t swap my bike for anything. For dark nights, and a complete lack of adequate cycle lanes, we use Beryl Laserlights and Burners to make sure we’re as visible as can be, and they come highly recommended - it’s an absolute no brainer to make yourself as visible as possible to traffic. As for transport, I’d recommend getting an amazing messenger bag. Shameless plug: our weatherproof Wee Lug has been there from the very beginning at Trakke, and after a couple of iterations, it’s better than it’s ever been. Coupled with a stabiliser strap, it’ll hug your back like your wheels will hug the corners, and that means you can focus on the road ahead, rather than what’s on your back. Enjoy this post? Sign up for our newsletter here and we'll let you know when we publish a new post. Don't worry, we know your inbox is already full so our newsletter is sent every second week, with the occasional bonus email now and then if we have something good to share.